Ivory Coast will host an all-night concert tribute this week to Congolese rumba star Papa Wemba, who died after collapsing on stage during a festival in Abidjan, organisers said Monday. Family members were also heading to the Ivory Coast to prepare to repatriate Papa Wemba’s body to his homeland, where Culture Minister Banza Makalay described his death as “a great loss for music”. The festival organisers said a “big artistic wake” would be held from Wednesday evening to the larger than life musician known as the “king of Congolese rumba” who fused Cuban and African rhythms. “More than 100 national and international singers and musicians will succeed each other on stage from 9 pm until dawn,” FEMA said in a statement. 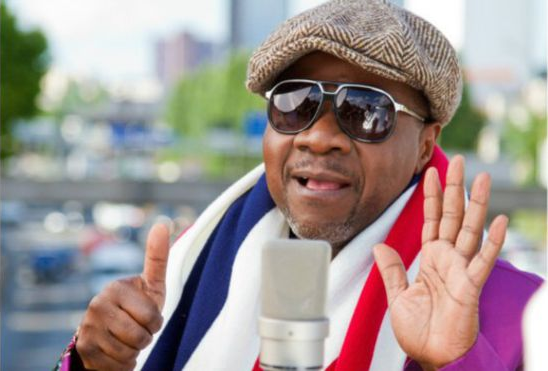 The cause of Papa Wemba’s death is not yet known, although he was said to have suffered health problems for some years and a journalist reportedly noticed he was unwell on Sunday. Four of his relatives were due to arrive in the Ivory Coast on Monday from the capital of the Democratic Republic of Congo, festival promoter Salif Traore, known as A’Salfo, told AFP. His overseas audience grew after a world music album produced by France’s Martin Meissonnier in 1988, which blended Western sounds with the rumba tradition also known as soukous. A’Salfo, also lead singer of the group Magic System, said on Sunday that the great musician – also known for his eccentric fashion – had told him two weeks ago he “wanted to die on stage”. Video footage shown live on television showed the dramatic moment that Papa Wemba -wearing a bold black and white patterned tunic and over-sized bowler hat – slumped to the floor behind a group of dancers, before performers rushed to his aid. A father of six, Papa Wemba was also known as the driving spirit behind a Kinshasa cult movement known as “Sapeurs” whose members — young men — spend huge amounts of money on designer clothes.